We have all heard about locker room conversations that include how the coach or the captain would seriously bash the players for their poor performances. Ever wondered how fun it could actually get on good days? Well, Abdul Razzaq reveals some of the lighter things for us to enjoy. The 37-year-old right arm fast-medium bowler enjoyed some prime days during his bowling career and continues living the moments when asked. Recently in an interview on a local TV show, Razzaq shared some fun moments he shared with the team members in the locker-room. 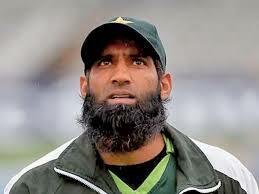 Would You Ever Picture Muhammad Yousuf as the Funniest Guy in the Squad? When asked who was the funniest in the squad, Razzaq shared how joking around with Malik, Akhtar, Afridi, and Yousuf was the most fun. He even shared how they used to call Yousuf ‘marasi’ when they would run out of jokes to hit him with. 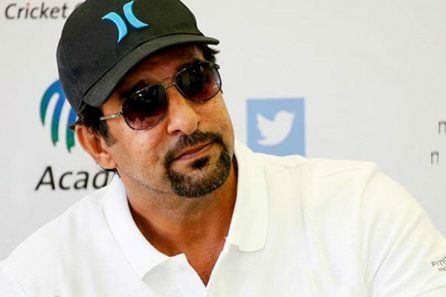 In an interview, Akram revealed how Razzaq is an emotional and moody man. However, Razzaq revealed how there is a story behind it – he shared that Akram never liked being on the receiving end of the joke. Given how Akram was in the major roles in PCB, the players had to respect his jokes and not answer them or it would “piss him off”. The way Razzaq narrates this is absolutely hilarious! In a moment, Razzaq was asked to imagine himself driving a heavy bike. While driving, he notices three ladies are asking a lift, who would he give it to? The options were, Mehwish Hayat, Mahira Khan and as soon as the host Wasay Shah could name the third one, Razzaq interrupted and said “Mahira Khan”. We hear about the serious cricket talks all the time, but hearing such fun comments by the players reveals how fun things could actually be. After all, a good bond off-field leads to great communication on the field. Virat Kohli Gives Us the Biggest Reason Why No Pakistani Can Ever Come to Hate Him!